This morning at El Divino Redentor (Divine Redeemer), I was very warmly welcomed by the congregation. 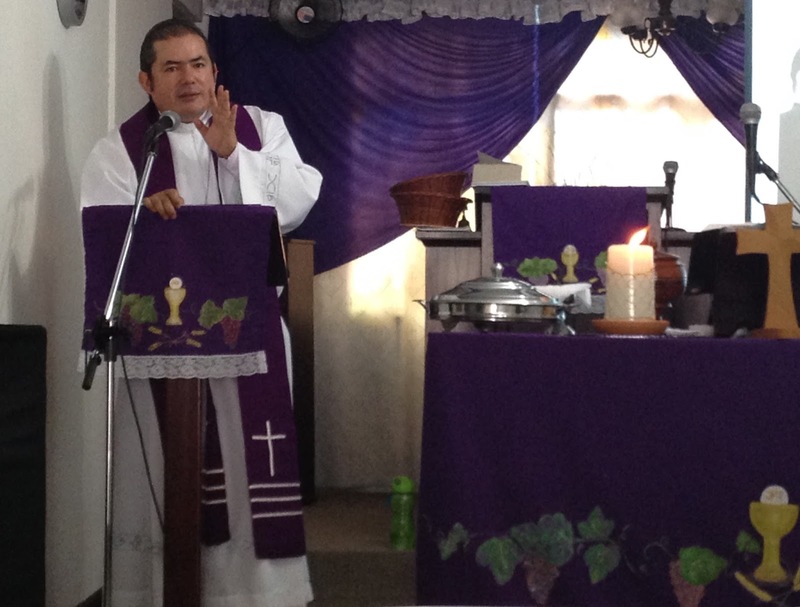 At worship, we celebrated the second Sunday of Lent together with Lutherans all around the world. The ability to worship together, share holy communion and offer peace to one another is a great way to understand celebration. "Celebrate" is the word of the day for every Sunday during this Lenten photo challenge. It is a great word to remind that during the Lenten season of prayer and reflection, we still have much to celebrate. Pastor Sergio preaching. Photo by Katie.